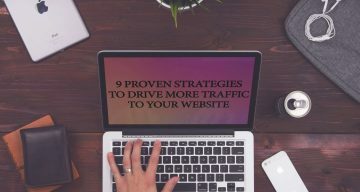 Very good content is not always enough to drive traffic to your web page. If nobody finds out about your post, event the best quality of your article will not help you. Sometimes you need to put some money in advertising, but you can also employ unusual techniques that are totally free, but still very effective (or often even more effective than paid ads). You do not have to be a natural-born writer to attract wide audience of readers who will be interested in your work. There are some tricks that help you create a viral content. We have long moved away from a one-way communication model where the consumer is a passive recipient with no say while the brand imposes its own message. If you do not satisfy or engage the consumer, you lose against your competition. The most effective weapon in the online environment is content. But now it’s more and more about how you serve and display it.